Many guests staying at the Bexley Bed and Breakfast arrive without a car. 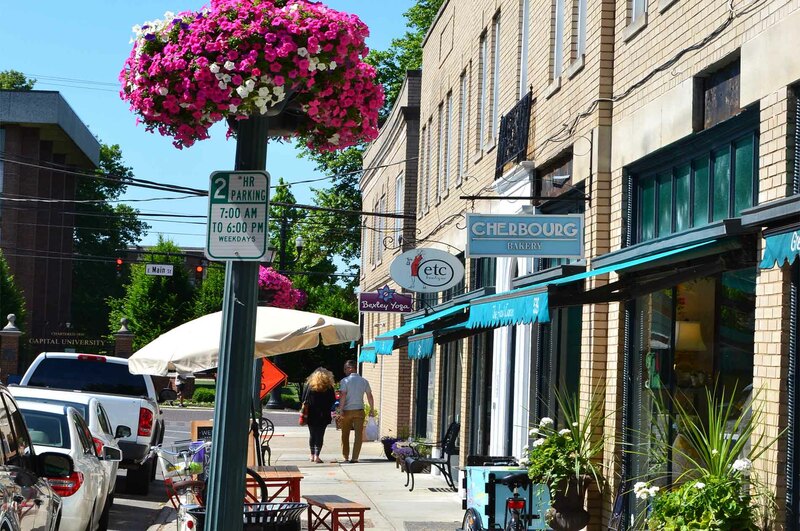 After a short 10 minute ride from the airport, it’s often easy to adopt a pedestrian lifestyle and walk to restaurants, events, and other attractions throughout Bexley. If you don’t want to drive, you can contact the BEAT (a small charter service) at www.bexleybeat.net. Uber, taxis, and Car-2-Go are also conveniently available. 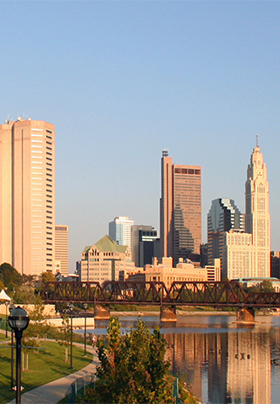 There is an endless array of things to do in and around Columbus, Ohio. Check out some of these local activities and attractions during your stay! We are located within one block of the intersection of Main Street and Drexel. 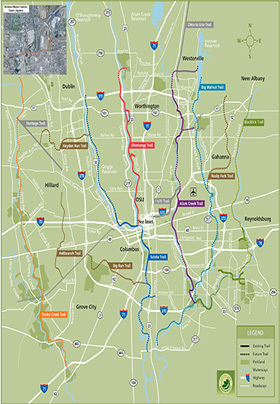 This puts us less than ¼ mile from Capital University, Torat Emet, Trinity Lutheran Seminary, Christ Lutheran Church, St. Alban’s Episcopal, Cherbourg Bakery (gluten- & nut-free), boutiques, salons, a yoga studio, ice cream shops, restaurants (upscale and casual), art galleries, and the historic Drexel Theater. We are within one mile of: Bexley High School, Columbus School for Girls (CGS), St. Charles High School, the Jewish Community Center (JCC), Wexner Heritage House, Sunrise of Bexley, Bexley UMC, St. Catherine’s Church, Bexley Public Library, Starbucks, and even more restaurants. A drive of less than five miles can bring you to: downtown Columbus, the Port Columbus International Airport (CMH), Franklin Park Conservatory, the Arena District (Columbus Blue Jackets (NHL), Columbus Crew (MLS) or Columbus Clippers (MiLB), the Short North (restaurants, bars, art galleries and shopping), COSI, German Village, the Columbus Convention Center, the Ohio State House, the Columbus Museum of Art, the Columbus College of Art and Design, Ohio Dominican University, Good Shepherd Lutheran, Beth Jacob Congregation, Congregation Agudas Achim, and Congregation Ahavos Sholom. Within 10 miles, you can find: Easton Town Center (shopping), the Ohio State University (OSU), the Wexner Center for the Arts, and the Ohio State Expo Center and Fairgrounds. Hocking Hills is a little further afield, but also worth visiting if you have a free day.